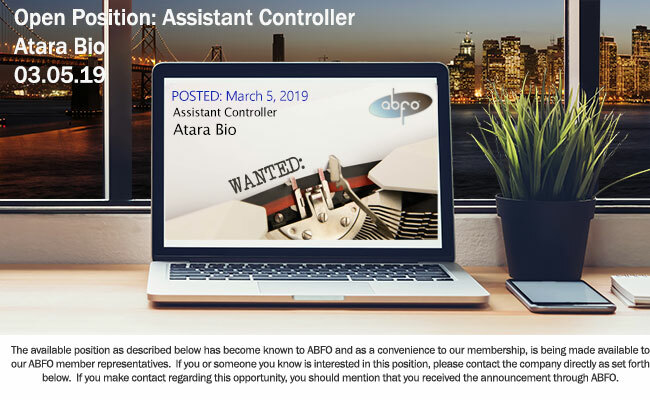 The Assistant Controller is responsible for all SEC financial reporting activities and will lead efforts to comply with Sarbanes-Oxley Act (SOX) 404(b) implementation, working closely with SOX consultants, leads and manages the payroll function, external audit, technical accounting, accounting policies, and the accounting system. This individual frequently interacts with accounting staff, IT, legal, and other stakeholders across the organization as well as external SOX consultants and external auditors. This role requires critical thinking skills, effective organizational skills, excellent written and verbal communication skills, and a strong ability to build effective relationships across the Company. Works with the Controller and other team members to develop scalable and efficient accounting processes. Leads SOX 404(b) implementation efforts, working with SOX consultants as appropriate; assists in promoting a culture of awareness and adherence to internal controls within the company as a whole. Coordinates/monitors/reviews the execution of audit procedures including those in support of management’s assessment of internal controls over financial reporting in according with the COSO Framework and Sarbanes-Oxley Act (SOX). Supports the Controller in the management of the payroll function. Supports the requirements of the annual audit and quarterly reviews through preparation of audit schedules and other support to external auditors. Leads the preparation of Company’s SEC filings, including 10-Qs and 10-Ks, and ensuring appropriate XBRL tagging of related content. Ensures integrity of the company’s accounting system, including new account, department and project set-up, financial report development and maintenance, and interfaces between payroll, equity, financial planning and expense management systems to the general ledger. Provides technical accounting guidance to the Company including drafting or reviewing technical accounting memos. Provides support to all other teams across the company as needs arise, including special projects, system improvements or ad-hoc financial analyses as assigned. Travel Ability to travel, up to 15% travel time. Subject to extended periods of sitting and standing, vision to monitor and moderate noise levels. Work is generally performed in an office or clinical environment. Car and airplane (see above) travel is an essential part of the job. Bachelor's degree in Accounting, Finance or Business. CPA required; Big 4 audit experience, biotech industry, public company experience preferred. Deep subject matter expertise in Sarbanes Oxley and internal controls over financial reporting. Deep subject matter expertise in SEC reporting and US GAAP accounting standards. Well-developed problem-solving skills combined with experience working with outside consultants in a positive and collaborative fashion. Good energy, enthusiastic, goal driven. Enjoys being ‘hands-on’ and able to work in a co-located environment. Adept at managing external service providers to meet objectives and budgets. Strong interpersonal skills and the ability to communicate effectively with people in diverse and different settings. Possesses a sense of urgency; identifies challenges and problems and takes the initiative to identify solutions.